Are women more naturally inclined to cooperation than men? 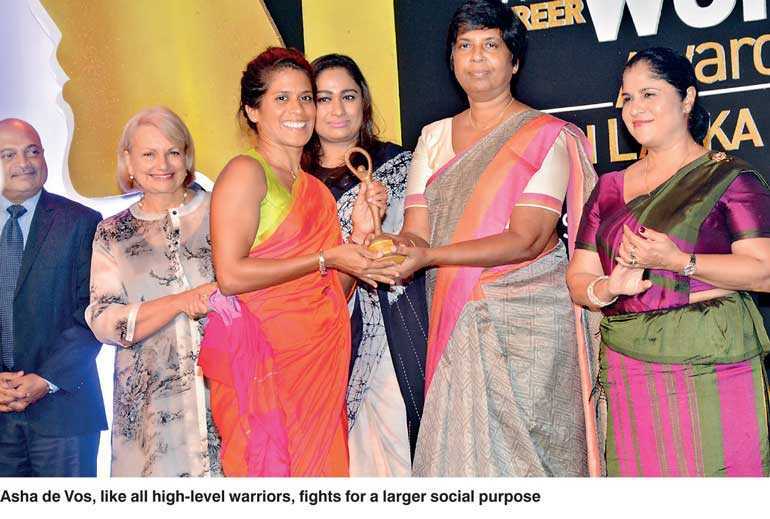 Sulochana Sigera’s impassioned statement at last week’s Women in Management Awards seemed to suggest so. Addressing the under-representation of women decision-makers, Sigera pointed to the mounting organisational and social challenges that had resulted from an over-representation of men in business, politics, and the clergy. It was a speech underlined by a clear and compelling archetypal narrative. Women excel at creating community because they are innately cooperative and better able to provide effective service. And in a society that no longer functions in its collective interest, they have this crucial role to play. The WIM awards also celebrate the women who have made a mark, jumped barriers, and overcome challenges to fight for and advance themselves and their causes. Many of the award-winners have built extremely successful businesses and gained positional authority in their careers and professions. And yet this is an altogether different spirit to cooperation. It is the competitive warrior archetype that champions ambition, assertion, and achievement. So are women innately cooperative or competitive? For example, numerous studies have tried to understand why women are grossly under-represented in politics, business, and the so-called ‘hard’ fields of science and technology, but highly over-represented in others, like the non-profit sector. One interesting study by the economists Peter Kuhn and Marie-Claire Villeval found that women respond better to team environments than men do. It concluded that women see the advantages in working as a team because they are less pessimistic about their teammates’ relative competence but also, more controversially, because they are less confident in their own abilities. Men, on the other hand, are overconfident of their relative competence, less trusting of colleagues, and prefer to work alone. The issue, science also tells us, is less to do with biological predisposition and more a result of socialisation. In traditional cultures, Caregivers mothered children, cared for their elderly parents, and gathered food. Warriors defended the family and tribe, hunted wild game, and fashioned tools and weapons. These dissimilar roles are consistent with archetypal narratives too. The Caregiver archetype is the part of us that encourages relationships between individuals and constituencies. It is motivated by responding to the ‘needs of others’, like helping people feel they belong and are valued for. The Warrior archetype is the part of us that prioritises discipline, tough-mindedness, and the ability to prevail against the odds. It is motivated to frame goals based on ‘our own needs’, and then competes against others to achieve them. Both narratives continue to influence gender expectations and behaviours in the workplace today. For example, the Kuhn-Villeval study found that besides the tendency to avoid competitive situations, a disproportionate number of women are also resistant to inequitable outcomes. Taking compensation as a measure, the economists asked participants to choose between individual and team-based pay. Women are sensitive to asymmetrical rewards, men less so. Decades ago, Carl Jung recognised that we spontaneously – and unconsciously – organise our personalities and behaviours into symbolic representations, or archetypes. Since his pioneering work, Jungian analysts have distilled twelve primary archetypes that relate to our need for mastery, control, power and belonging as we journey through life. We use archetypal frameworks during periods of change, when organisations seek to transform and reinvent themselves and their brands. At such times, knowledge of archetypes help leaders understand how they (and their customers) make sense of the world and their place in it. For many of us, the Caregiver and Warrior are the archetypes we first experience as adults and continue to potentialise during the remainder of our lives. Both archetypes, as with the other ten primaries, have within them a power that, once gained, gives us an enhanced ability to understand ourselves and others. When we learn to recognise archetypal ‘patterns’, we detect what is repetitive and related across the many contexts and situations of our lives. When the dots connect, we are better able to question and change behaviours that we previously took for granted. Pattern recognition thereby becomes a crucial skill in our development and decision-making tasks, and increases our achievements in the world. We live and work in a Warrior culture that identifies heavily with masculinity and a distinctive brand of manhood. As increasing numbers of women enter competitive sports to business to politics, to the judicial and education systems, many find they must bow to social pressure and repress and deny their inner Warrior. 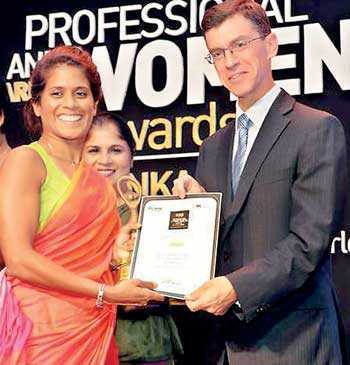 Others – who have worked hard to be recognised for their skills and talents and aspire to power and advancement along the corporate pipeline – encounter widespread prejudice from men who feel threatened by, and overtly or covertly resist, assertive women who are perceived to be straying from their archetypal boundaries. (A 2016 McKinsey & Co survey found that when women do act forcefully and negotiate for promotions, they are 30% more likely than men to be labelled intimidating, bossy or aggressive). Still others have come to believe that the only way to advance and gain respect in a Warrior culture is not simply to act like men, but the very worst of men – the primitive and unproductive Warrior behaviours that are so rampant in today’s organisations and wider society. There are also wider generational demonstration effects. Already hugely under-represented as decision-makers, it becomes especially important for young women to find successful leaders who can help them model the best versions of themselves. Who, and what, are these to be? Are we, then, seeing the twilight of the Caregiver archetype in business, politics, and other areas of life? Is the power to construct a community, organisation, or team founded on the highest ideals or largest purpose finally diminishing against the onslaught of such powerful (and primitive) masculine imagery and energy? At a time when most organisational transformations are driven to achieve a short-term cost turnaround, the question looms large of how to increase productivity and get more out of people for less. In its time, the Warrior culture devised a military, hierarchical model to organise large numbers of (mostly) men to produce outstanding, goal-directed results. But today, old notions of hierarchy are dissipating and the strength of new relationships within, across and between organisations are becoming increasingly important. Many businesses, while still grappling with rigid hierarchies and silos, find they must pull together collaborative teams and networks to test new ways of working that are ahead of the curve. But this requires leaders with archetypal diversification or at the very least inner Warriors and Caregivers that do not work at cross-purposes. This means organisations must develop Warriors who fight for others and not just themselves, and Caregivers who learn to put themselves first among equals. Indeed, any upwardly mobile woman who wants equal rights and a fair chance to advance and achieve, needs access to her inner Warrior. And any man who wants to create a community of support or larger sense of purpose with like-minded colleagues must learn to access his inner Caregiver. One archetype achieves community, the other individuality within that community, and the interplay between the two generates a dynamic balance that produces extremely powerful results. We then ‘fight for the good of others’ – society, an organisation, or a team – ‘or for what really matters’ – the cause we believe in – and not just petty self-interest. We fight in the larger interests of our organisations and society. This, I surmised by listening to Sigera speak, is also the essence of the WIM Awards. It celebrates the women who have actively intervened in the system to fight for equality and more collaborative and productive communities. They should now go further and harness the powers of high-level Caregivers and Warriors, both women and men alike, to create a collective vision for our nation.